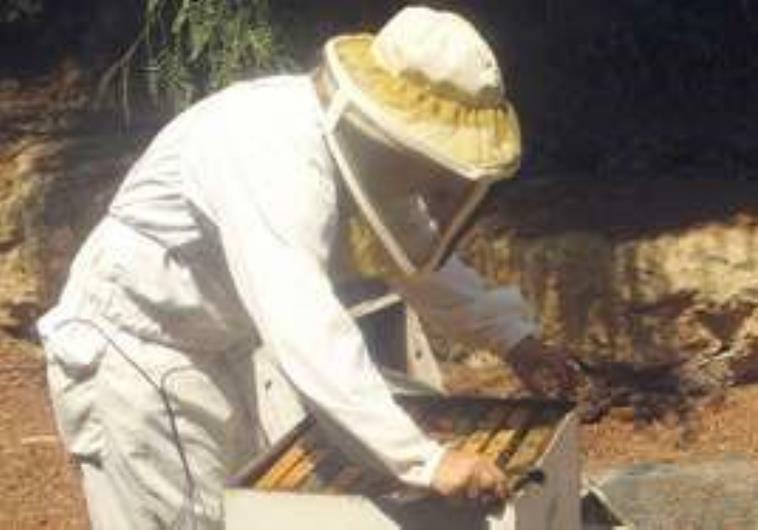 To help us enjoy a sweet new year, we have a Soviet-Yiddish song about Jewish beekeepers with the wonderful refrain “Makhn honik iz gevorn a yidishe parnose” – “Making honey, has become a way for Jews to make a living”. 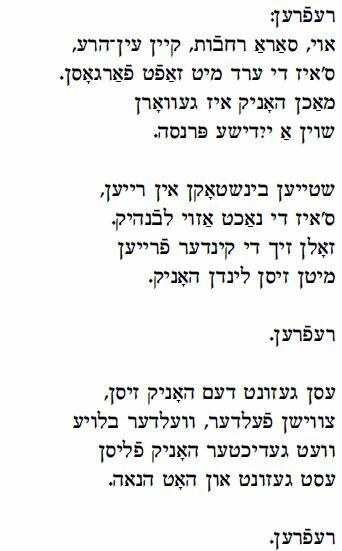 This song comes from a field recording of the folksinger, Chaim Berman, done by Rabbi Victor Reinstein in the early 1970s. Zhumen binen (Bees are Buzzing) is found in Sam Liptzin’s collection Zingen Mir/ People’s Sing for Peace (1974 edition, page 49 – thanks to singer and collector Leo Summergrad for that information). 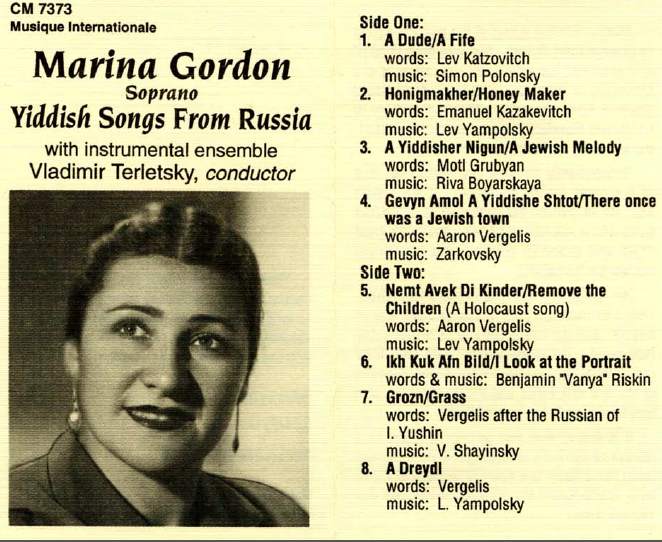 We have also added a link to the song performed by Marina Gordon that we found on the Florida Atlantic University Judaica Sound Archives site. There it is called “Honigmakher.” This recording is from the cassette re-release of her Soviet recordings on the Musique Internationale label in Chicago, run by Barry Serota. From this recording we see that the words are by the author Emmanuel Kazakevitch (1913 – 1962), known for his connection to Birobidzhan. The music was composed by the prolific Soviet Yiddish composer Leyb (Lev) Yampolsky. The song was written for Kazakevich’s play Milkh un honik (1938) and performed by Birobidzhan Goset in 1940. See the book In Search of Milk and Honey by Ber Kotlerman. It is quite possible that the song became known in the US through this Gordon recording, originally a 78 RPM. 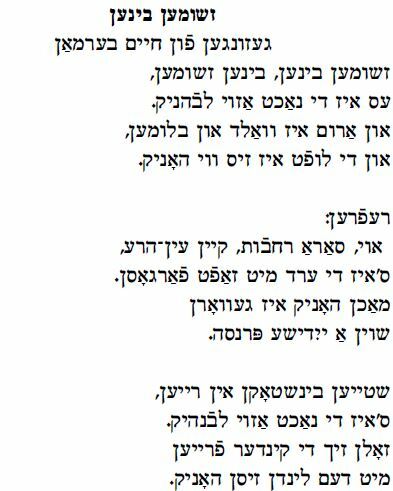 In the on-line Robert and Molly Freedman Jewish Sound Archive the question is asked whether the song appears in a film on Birobidzhan. This could also explain how it became known in the US. Marina Gordon, one of the great post-war Soviet Yiddish singers was born in Minsk in 1917 and died in Brooklyn last December 2013. She was one of the first to sing Yiddish in public performances in the USSR after the Second World War. See Joel Rubin and Rita Otten’s CD on the Wergo label, Shalom Comrade and Gennady Estraikh’s work Yiddish in the Cold War for more information on this period. On Marina Gordon – see Rita Otten’s article – “Ich möchte stolz sein auf die Kunst meines Volkes”: Die jüdische Sängerin Marina Gordon. Neue Zeitschrift für Musik, 2006/04 (July/August). Mainz: Schott: 62-64. Es klingt fun vaytn a garmonik. un di luft iz zis vi honik. You can hear an accordion afar. And around are woods and flowers. And the earth is sweet as honey. O what riches, no evil eye. The earth is soaked with juice. 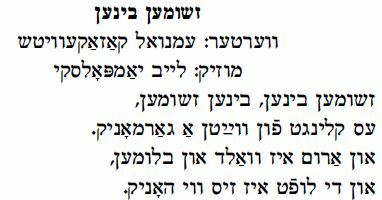 S’iz di nakht azoy levonik. mit dem lindn zisn honik. The night is all moonlit. with the gentle sweet honey. est gezunt un hot hanoe. among the fields, the blue woods.